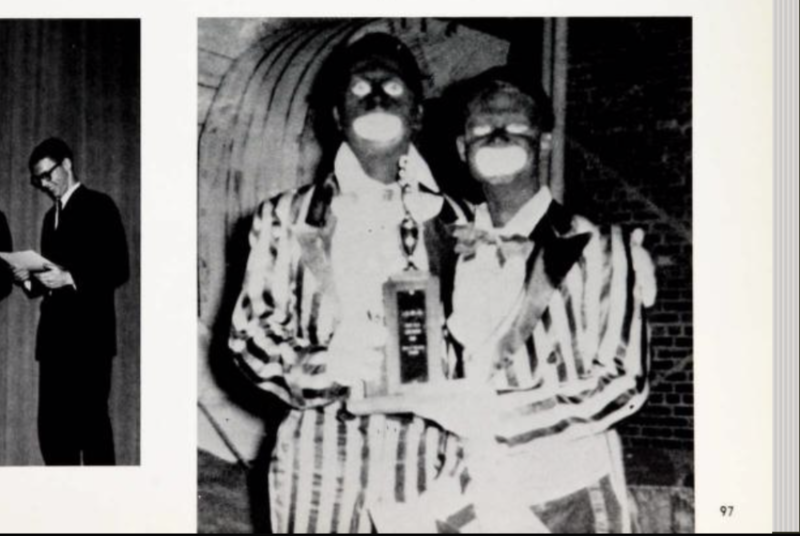 A 1964 yearbook photo appears to show two students – only identified as "Ron and Bob" – in blackface at a talent show. University President Thomas LeBlanc on Friday denounced a series of old photos in GW yearbooks appearing to show students in blackface and Ku Klux Klan hoods. 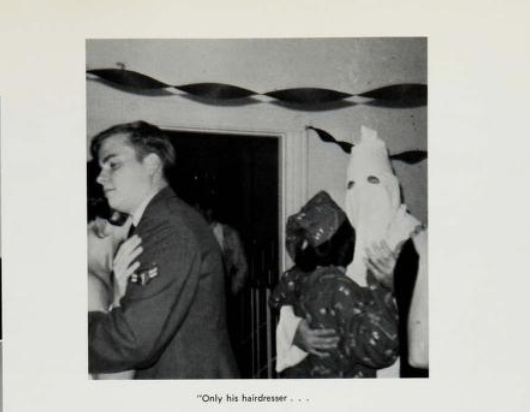 A 1965 yearbook photo appears to show a student in a KKK hood at a Tau Kappa Epsilon event. One of the photos, featured in the 1964 Cherry Tree yearbook, appears to show two men – only identified as “Ron and Bob” – in blackface. Two other photos, featured in 1965 and 1968 yearbooks, show students who appear to be wearing KKK hoods. The blackface photo is featured on a page highlighting the “May Day Minstrel,” a talent show and pageant. 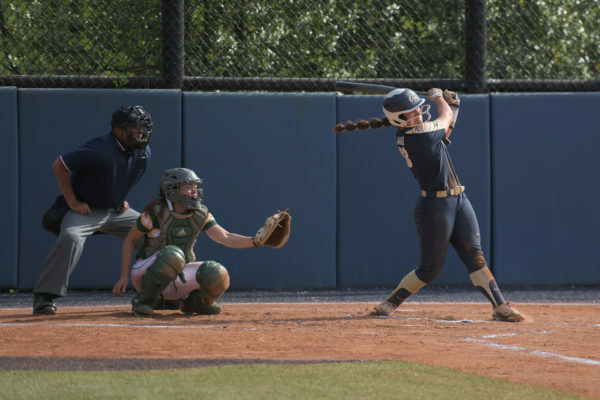 The first photo showing a student in KKK dress, who appears to be dancing at a school event, is featured on a page for the fraternity Tau Kappa Epsilon. The second shows a group of three students appearing to wear the hoods at an annual theater show in 1968. 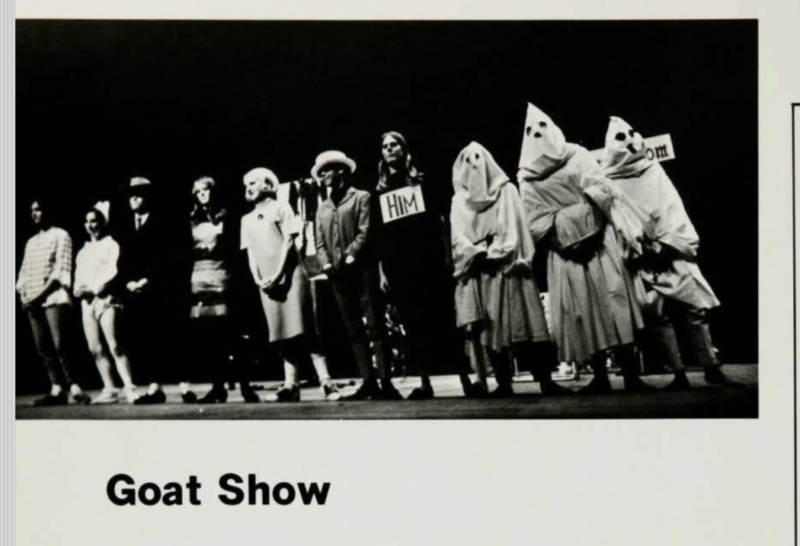 A 1968 yearbook photo appears to show three students in KKK hoods at an annual theater show. The photos have come to light amid increased attention to blackface images in yearbooks after photos surfaced appearing to show Virginia Gov. Ralph Northam in a racist photo in his 1984 medical school yearbook. The photo pictured two men, one of whom is wearing blackface and the other is wearing a KKK hood. 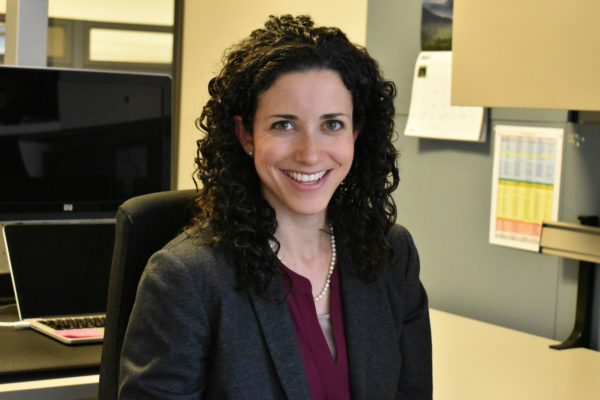 “We will work every single day to create a welcoming and inclusive community for all, and we will continue to learn from our past and try to be more inclusive now and in the future,” LeBlanc said.